Josh is a skilled detailer and we are happy to have him as a member of our team. Ray has over 20 years experience in the automotive industry. We are excited to have Ray as a member of our team. Tim has over 10 years experience in the automotive industry. From the moment you step on our lot until the time you drive away in your next car, your buying experience with Dodgeville Auto Sales & Service is our number one priority. We encourage you to use the expertise and resources of our sales staff; they are here to help you find the right car at the right price. Call us today at 608-935-0123 to schedule your test drive! My goal is make sure all customers are 100% satisfied with the services we provide. If you have a concern, please let us try and resolve it. We want you to think of us as your one stop automotive shop, from service to sales, we can do it all. Should you need help after hours please call me on my cell 608 574 4456. Brandie started working in the car business 15 years ago. She is now proud to say that she is an owner at Dodgeville Auto Sales & Service. She is committed to ensuring that all customers are 100% happy with the services they received. If you have a concern she will work hard to resolve it.  Jamie has worked in the auto industry for over 20 years. Jamie is here to answer any of your warranty claims questions or handle any concerns you may have. His years of automotive experience in buying, selling and repairing automobiles make Jamie an valuable asset to our customers. Pat is a great tech. He has years of experience, and can fix anything. 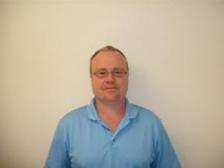 He has been working on cars his entire life and is a great asset to Dodgeville Auto Sales & Service. He is honest dependable and always puts the customer first. See Pat for all your automotive repair needs. 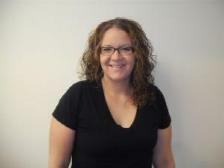 Jessie has years of office management and customer service experience. She is eager to help and is dedicated to ensuring Dodgeville Auto Sales & Service customers are happy with the services they received. Please let her know how we can better serve you. Joel is a graduate of Southwest tech in auto mechanics, he also has several years in practical experience. Joel is our resident diesel repair specialist. He is experienced with head gasket replacement on the 6.0 and 6.4 ford diesel trucks. Joel can handle any of your diesel repair needs from minor repairs to full rebuilds, he can do it all. 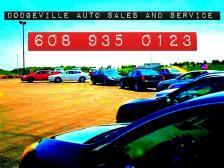 Trust Joel and the team at Dodgeville Auto for all your automotive repair needs.